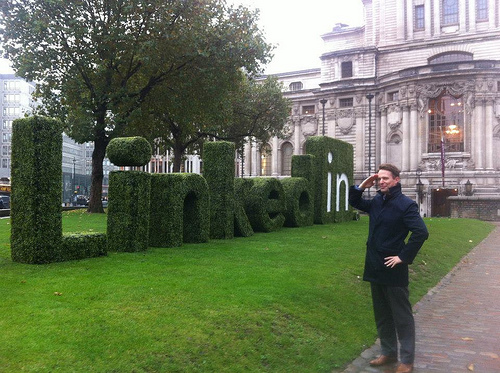 LinkedIn is being called THE go-to Social Media site for 2014. Does that strike fear in your entrepreneurial heart? We’re getting the hang of Facebook, and expertly bemoaning the drop in post reach. We’re even tweeting, using Twitter to reach our target market, our business idols, and to get a quick customer service response. And who doesn’t love Instagram’s fun platform? But LinkedIn – it’s on your list to get to soon. You know you have to figure it out. You have maybe a few hundred connections, kind of a mish-mash of people you used to work for and your family and friends. Every now and then you come across a really great LinkedIn profile and think “I need to contact her and find out how she got her profile done”. I talk a lot about the components of a great LinkedIn Profile. Today I want to talk about size. YES, size does matter with LinkedIn. If you’re going to establish yourself as an expert in 2014, your LinkedIn profile can support and accelerate that status. The number of connections you have is an important part of that. Here’s why. Unlike all of the other Social Media sites, you only need 501 connections to be considered in the elite tier. Your connections won’t know if you have 501 or 50001, they’ll just know you’re a player, because when they see your profile, they see that 500+ connection count. It’s not that hard to surpass that mark! Find ways to connect with people. Regularly post this on your other Social Media platforms: “Are we connected on LinkedIn? www.linkedin.com/in/yourname” You’ll start getting more connection requests right away. Get involved with Groups, other members will start connecting with you. There are so many creative ways to get more connections. Once you surpass that 500+ mark, your followers will believe you are GOOD at this LinkedIn stuff. The more first degree connections you have, the more second and third degree connections you have. These second and third degree connections are such a POWERFUL benefit of LinkedIn.If you’ve watched any of my workshops, (free at www.linkedinstars.com) then you know the power of those second degree connections. You literally are one connection away from being able to reach hundreds of millions of people. Maybe it’s for funding, maybe it’s to find someone who has an oxygen bar for your next event, maybe it’s to find a great space in Barcelona to teach a guest yoga class. You have reach to all of that and so much more. The more first degree connections you have, the greater that reach. LinkedIn searches look only for first, second, and third degree connections. If you want to be found on LinkedIn, you’re doing keyword optimization and you’re thinking about what people are searching for when you want them to find YOU. Here’s the thing. You can do hours of keyword work and still not ever come up. LinkedIn’s algorithms put first and second degree connections to the top of the search results. Even if you’re a third degree connection, you’re likely to be way down low, and free accounts will only be shown the first 100 entries. By strategically increasing the number of LinkedIn connections you have, you’re giving yourself exponentially more power to be found in searches. I do want you to have a strategy for your connections, and of course you can deny any connection you don’t feel comfortable with. By staying active in relevant groups, and by sharing your LinkedIn URL everywhere, you’ll start to build those relevant connections. I highly recommend putting your URL on your business card, so when you’re out at live events you’re making it really easy for the people you meet to connect to you, and to keep that connection warm. Take a minute today and write down the number of LinkedIn connections you have in your business planner or on your calendar. Then start schmoozing. Grow those connections. Size DOES matter. Do you have a favorite way to make more LinkedIn connections? Share it with us in the comments below! Helpful tips! I do have over 500 connections, and it was easy to get there ones I started interacting in several group networks pertaining to my niche. Great Megan! It’s fun, isn’t it, when things get rolling? One of my goals this year was to figure out LinkedIn. It’s super helpful to know how LinkedIn works as I begin my journey. I’ve joined a few groups and started posting once a day, but clearly I’ve got some work to do since right now I’m well below the 500+ mark! Thanks for the tips! Jennifer the consistent effort will pay off for sure. The more connections you have, the faster it grows! Yup, LinkedIn ranks high on my 2014 goal list. It’s been in the back of my mind for some time now, and I’m realizing I need to just dive in. Well, I have already left the platform, I just need to really start using LinkedIn and finish my profile. Thanks for this post. It’s very motivational! I went to a conference and a speaker talked about the importance of LINKEDIN. Ever since I have been pretty proactive in creating visibility on that platform. I love the “Are we connected on LinkedIn? http://www.linkedin.com/in/yourname” tip because this is something that I have not done as yet. So I am going to ask now… “Are we connected on LinkedIn? http://www.linkedin.com/in/ministajazz” Thank you so much for this post. Sent you a request! What was the main thing you took away from the LinkedIn speaker at the conference? wow. thank you karen. super helpful info!!!! I never thought about LinkedIn in this way. Wow! I have some work to do!! Thanks for pointing this out to us. I’ve been on the fence about Linked In for a while now and have been concentrating my efforts on FB and Twitter, but I’m not far away from 500 so this is great! I will be updating my profile and connecting today! Thanks for the tip! A solid reminder for us to put some time and effort into building our networks on LinkedIn. I have 500+ contacts but take a more passive approach to network building… time to get active! Thanks Kristi! Looking forward to hearing how it goes! Very informative post, Karen, thank you, and I must confess, I know very little about LinkedIn and haven’t used it much at all so this is a timely post for me. Each year I dive deeply into one aspect of social media outreach. Facebook has been my most lucrative (and fun!) connecting forum. Last year I gave Twitter a try. (Not as much fun.) This year I am going to be very intentional about guest posting and LinkedIn may be next! For me, it’s about finding my “tribe” and each social platform has a very different flavor. Ha, ha, that would be me, all about flavor! Thank you for peaking my interest. Glad to hear it Sue Ann! I think you’ll find that LinkedIn can be even more lucrative than Facebook. Let me know! Karen, what perfect timing! LinkedIn has been on my mind a LOT lately – I haven’t entered anything in LinkedIn because I still have my corporate day job, but I’d prefer to only enter info about my biz. What’s your opinion about that? Love the article, great info! My opinion, generally, is that sharing your multiple passions makes you more interesting. Your LinkedIn profile is all about YOU, so unless it will jeopardize your day job to start to incorporate your biz, I say go for it. THAT is the number one asked question! Thanks for your answer Karen, I like it! And that’s interesting that it’s the number one question. I am changing my focus in social media a bit this year. Thank you Karen for all the expertise you share with us. My pleasure Cheryl! Glad it’s helpful. Okay, so like…. you had me at the title! LOL . You know, I’ve kind of left linked in…. not really doing much with it…but you are making me think I should get back in there… It’s been a black hole for me… however, I am starting to see the light!!!! Well you know how to find me if I can help Elizabeth. i’m being more proactive about linkedin this year also (thanks in part to your “stars” program, karen! 🙂 ). i’m not near 501 connections yet, but that’s my goal (i love what you’ve pointed out – no one knows if you’re at 501 or 5001). It is because of you that Linked In is on my to do list at all. You fantastic insight has lead me to tweak my profile with more changes on the way. Thank you for all that you share…big fan here! Looking forward to following along with your amazing business Susie! I love to hear that Farah! Happy to be of service. Great article! (Sue B Zimmermann, aka the #Instagal or #Instaexpert pointed that out to me and my group). Question: You suggest the use of the following awesome tip: “Are we connected on LinkedIn? http://www.linkedin.com/in/yourname“. Can you explain a bit better the structure of the link? If I put my name at the end of it and type it in the address bar I get an error page from LinkedIn saying I don’t exist there. Same if I click on Minstajazz link further up here in the comments. Whereas if I add the following link: http://www.linkedin.com/pub/antonio-bortolotti/10/a15/54b/ that’s my LinkedIn profile, right? And I will connect! Thanks! Karen, you continue to open my eyes to the opportunities of LinkedIn. Thanks for the thoughtful articles and pushes to get more involved and present on LinkedIn. I couldn’t agree more with you that size does matter on Linkedin. I am wondering how to best use Linkedin though. I have had a profile for years, I have close to a thousand contacts, my profile is an ALL STAR from a Linkedin perspective. At least that is what they write. But I have never had even a request on Linkedin and even less gotten a referral or a client. I wonder why. I am wondering if it is not because my field is just not very conducive to finding clients on Linkedin. Executive Coaching? It did not matter since my practice is pretty full but I have had that question for sometime now.